Un-Google Search Engines: Looking for some different results to your search? Want more student-friendly results? Try one of these other great search engines. 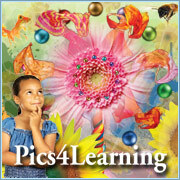 Pics4Learning and Photos for Class offer student-friendly, searchable databases of photos and images that have been approved for use in school projects. Students can easily find and download images with the appropriate citation information. The Library of Congress offers an incredible array of historical photographs which are easily searchable and include all of the necessary information for proper citation.